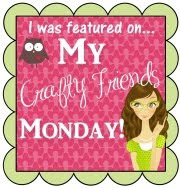 As I mentioned before in prior blog posts, being a Stampin' Up! demonstrator has many perks. 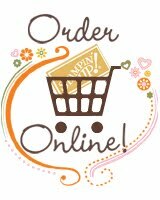 Not only do you get great discounts on all of your purchases, but you are also part of a wonderful community of talented men and women who share their creations on a demonstrator only site called Stampin' Connections. This card was inspired by demonstrator Penny Smiley. I liked her clean and simple card, and just changed a few things to create my version for one of the cards at my August stamp class. My Whisper White cardstock was stamped with the the large blossom using Rich Razzleberry ink and then embossed with one of the Delicate Design Folders. These new embossing folders are just a bit longer than the opening for the Big Shot, and because I wanted to emboss the whole card front, I trimmed my folder down to fit. This does not do anything to the design, but now I can emboss the whole card, and not just a layer. I wish the picture showed the delicate designs of the embossing a bit better, but in person it really stands out. I then stamped and cut out my smaller flower and leaves, and added my Bitty Banner Happy Birthdy sentiment, and cut that out with the Bitty Banner Framelit. I placed this onto the card with dimensionals. I usually add layers to my cards, but sometimes, just using bold colors and images is all that is needed to create a card that stands out.